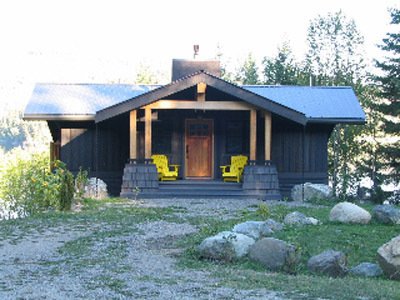 Located in the South Cariboo region of British Columbia, Canim Lake Cottage is the perfect getaway from life's hectic pace. This lake is one of the larger lakes in the Cariboo, surrounded by expansive meadows, mountains, rolling hills, and forests of pine, spruce and Douglas-fir trees. 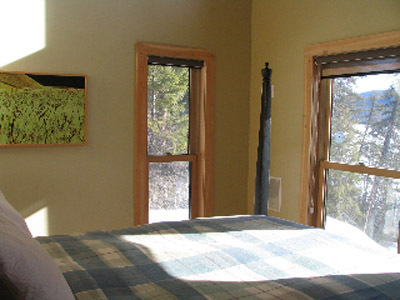 Recently constructed, the cottage has all the comforts of home and is a wonderful place for rest and relaxation. Upon entering you'll find two bedrooms. 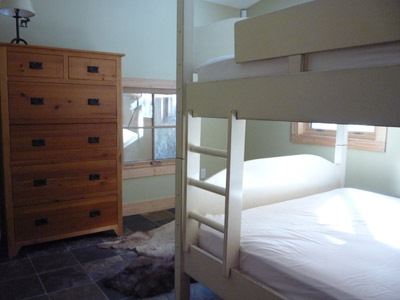 The first bedroom has a queen bunk bed and the second bedroom has two single bunks. 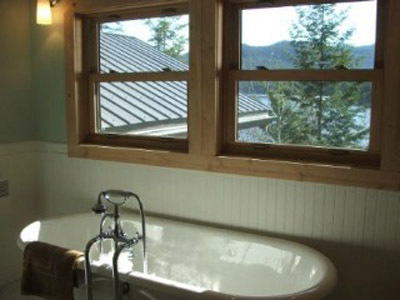 The main floor also has a full bathroom with a large soaker tub. 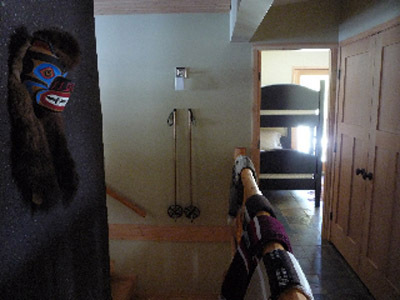 Descending the stairs from the main level brings you to an open-plan living level. 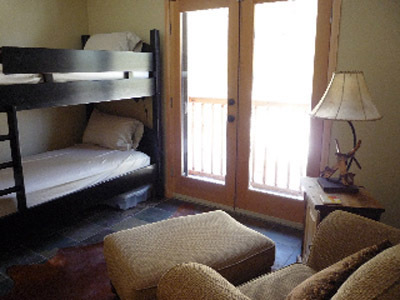 This level has the master bedroom with a four poster queen bed and a three piece bath. 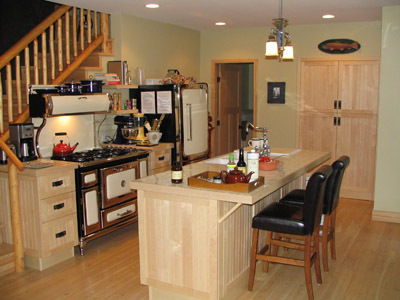 You'll find the quaint country kitchen is equipped with nickel plated heritage style appliances and an island complete with a sink and bar seating. Everything you need to create your favourite culinary delights is easily accessible. There is also a gas barbeque outside for grilling. 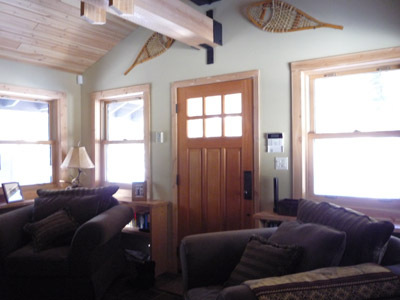 The living room has over-stuffed chairs and large windows bathing the room in natural light, providing good views to the lake. Open the double doors to the deck and sit outside to enjoy the clear bright sunshine and take in the panoramic view of the surrounding mountains and the beautiful jade coloured Canim Lake. With comfort in mind the living room is a wonderful place to sit back, relax and enjoy the peace of being away from it all. 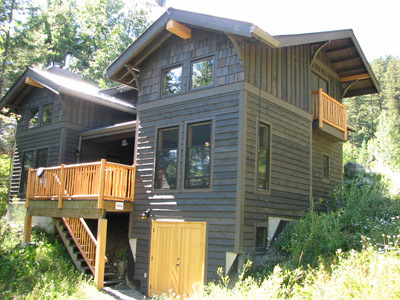 Play board games, take a nap or enjoy chatting on cool clear summer evenings on the sundeck. 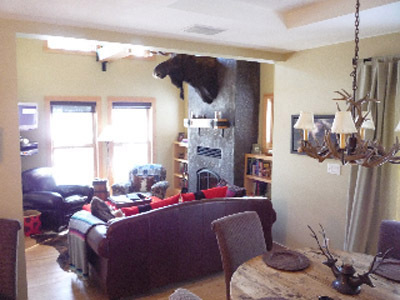 For your added vacation experience there is a gas fireplace to cozy up to while reading a good book or to tell fishing stories about the one that got away. If you feel the need to stay in touch with the outside world there is a telephone and satellite television. 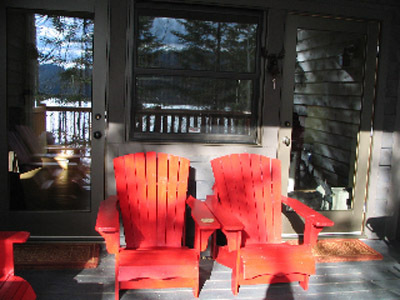 The outdoor life at Canim Lake Cottage offers so much for you to enjoy. 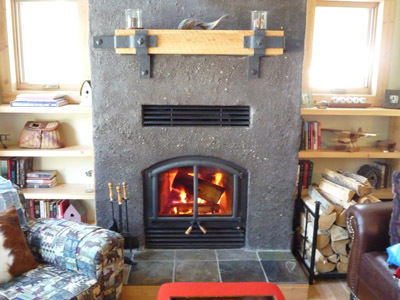 If it's been a long time since you had a campfire there are two fire pits available, one in the front of the home, and one on the beach, and firewood is provided. Aside from your own private dock and swimming area, this is a great lake for water activities such as fishing, canoeing and boating. There is a boat rental shop just a short walk down the road. 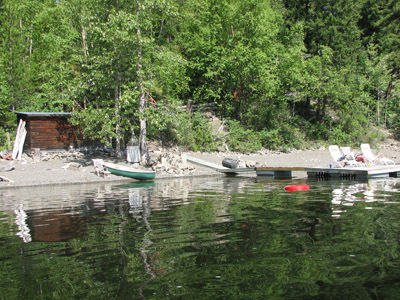 This lake offers some of the finest freshwater fly fishing in BC and is the angling centre of a region famed for the size of its char or Laker, as the locals call them. 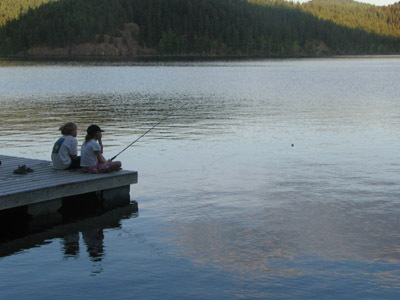 Here you can set your lines for Rainbow trout and Kokanee. 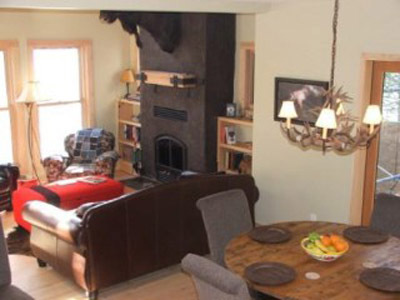 There are numerous trails through beautiful scenic terrain for hiking and mountain biking and the surrounding mountains and ranch country is superb for horseback riding. 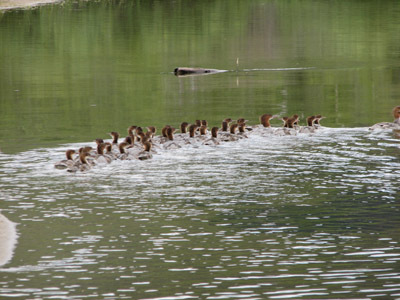 Wildlife viewing opportunities abound for spotting otters, beavers, black bears, moose, mule deer, waterfowl, bald eagles and songbirds unique to the Cariboo region. 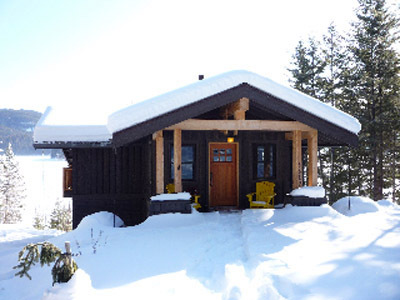 Canim Lake Cottage has so much to offer you'll want to come back again and again. Please note that you will need to bring your own towels, toiletries, comforters or sleeping bags. Top sheets are not provided. We had a great time, the area is beautiful. 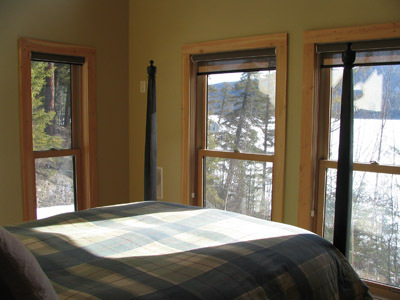 Would love to book the cabin again.